Tecno is here with some sets of new devices that will be coming with "Spark" in their names. The new Tecno Spark series will be coming with some great specifications and features, and at that, affordable for everyone. 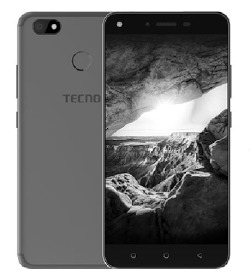 Tecno Spark Plus K9 is one of the devices in Tecno's Spark series that is set to be launched this August 2017. It packs some mid range specs but above all, it's affordable and won't leave a hole in your pocket. The specifications below are not official but just take it with a pinch of salt, pending the time it will be officially released with full specs and features. Coming to the price of this phone, the price hasn't been made official but it should be priced at about N55,000 to N60,000. What's your say on this device? They know what they are doing. 3k mAh battery in this age. The specs no make sense. How can you put a 3k battery on 6' phablet? Cos this is not a phone. Smh. Only a learn will buy this. Nice phone, thanks for the update. Kachi legit called a 60k phone mid range. I bow for you and tecno o.